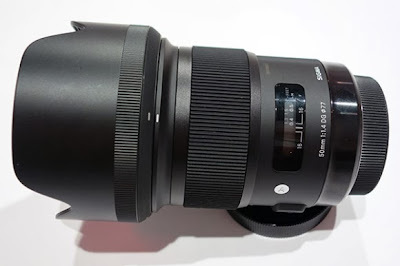 Sigma has been on a roll lately with some highly acclaimed glass introduced last year and two new global lens announced at CES 2014. One of the lens mentioned is the 50mm f/1.4 Art. However, they have brought bravo to a new height by suggesting this new lens' performance will come close to the Zeiss Otus 55mm f/1.4 lens, a fast and razor sharp prime costing $4,000 and is aimed at the fashion and advertising market. The new Sigma 50mm f/1.4 Art lens has many more glass added, including 13 elements in 8 groups compared to 8 elements in 6 groups of the current model. The lens feels heavier and solid but will be priced significantly lower than the Zeiss, or even the high end Canon, Nikon and Sony competing models.